Welcome to Bay John. 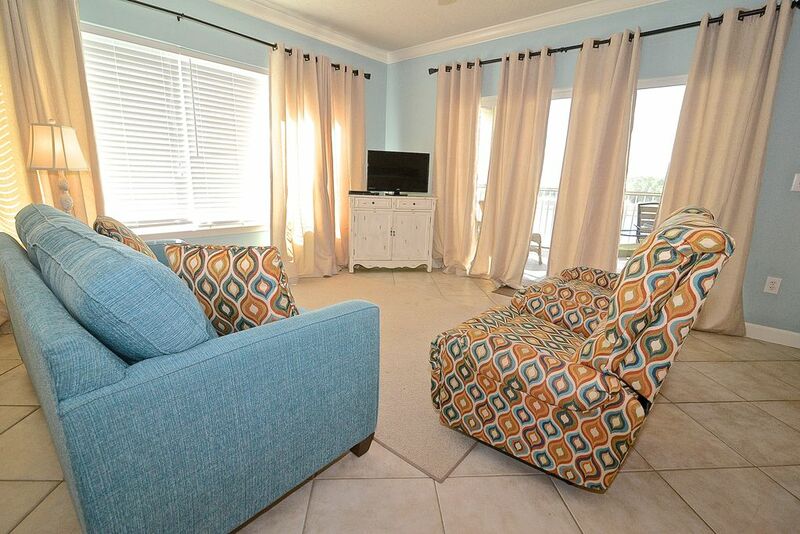 Centrally located and convenient to beach going, golfing, eating, shopping, and family-fun locations. The view from the screen porch will delight all ages. Dolphins and wildlife abound. This unit is well appointed with everything you and your family would need for a pleasant stay. Leave the worries of life and come and relax in our little secret retreat. Bring your boat, jet ski, fishing gear and get ready to enjoy a wonderful vacation. Boat slips are free; however, boats are required to have a parking tag when in boat slips. There is a full exercise facility & large Jacuzzi. We are a family that enjoys spending time together so we purchased more than one unit so everyone would have a place to stay. Bay John offered us the perfect spot! Gulf Shores has always been a destination that everyone in our family can enjoy. Fishing, crabbing, boating, swimming, Oh, Yes, and The Beach. The area offers something for everyone to do, and in town that is safe and not overcrowded. The restaurants, mega outlet shopping, golf and fishing can keep you busy each and every moment. There is a Boat Dock with Fishing Pier, Fish Cleaning Table, Crabbing, Boat Slip, & Bar-B-Que Area. The boat launch and boat storage is right down the street. We stayed here in the same unit in December. It is very clean and the view and location are wonderful. We will most definitely choose Bay John again next time we return. The rental property was exactly as pictured and described. I loved the location and the lake. I was very pleased with the propwo. It was identical to what was pictured and deacdi. It was more than enough room for my family of five. Thank you for staying with us and we are happy you enjoyed your visit. Come visit with us again. We loved this place and area..The view was terrific. It rained a lot but was warm. Cable was down off and on but we really didn't care. We wished would have stayed another week. Loved the experience. Need clear instructions on where to launch a boat and where to store a boat trailer. This place is boat friendly once the boat is in the water but no instruction on how to get the boat to the water. Quiet & relaxed setting fifteen minuted from beach. Well accented, though not as roomy as pics show. Well stocked kitchen, but lacking in adequate cookware for baking/oven. Pool was great, kids loved it.